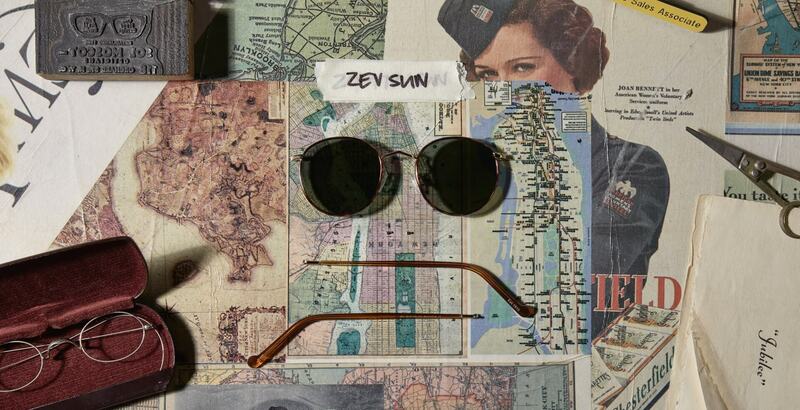 Inspired by the 'Poor Boy' Spectacles of the 1960s, MOSCOT's The ZEV SUN is a clever, dapper frame for when you need to put your best face forward. Model is wearing The ZEV SUN in size 49 in Sapphire/Pewter. Model is wearing The ZEV SUN in size 52 in Black/Gunmetal. Model is wearing The ZEV SUN in size 49 in Black/Gunmetal.